KUALA LUMPUR, Oct 2 — Having been arrested for threatening a riot, Umno’s Datuk Jamal Md Yunos is adamant on carrying on with his plan for a Kajang rally against its assemblyman Datuk Seri Dr Wan Azizah Wan Ismail on October 11. The Sungai Besar Umno division leader appears to have developed an appetite for demonstrations after #Merah169, and added that the Kajang event will jumpstart a series of rallies against the PKR-led Selangor government’s alleged incompetence that will culminate in a giant gathering by early 2016. “The rally in Kajang will no longer be a big one. But this movement will be carried out across the whole of Selangor,” he revealed to reporters at a media appreciation dinner he hosted last night. Jamal, who heads a group dubbed the Coalition of Malay NGOs, said the Kajang rally against Dr Wan Azizah is now targeted to garner between 2,000 and 3,000 participants, but boasted that the giant rally against the state government will see a crowd of 200,000. “We will speak to the people who live in different areas and find out what problems they are facing. We will monitor current issues and then we will continue to do it in other places. “Once we are satisfied, then we will gather for a demonstration in the hundreds of thousands at the right time and place,” he said. 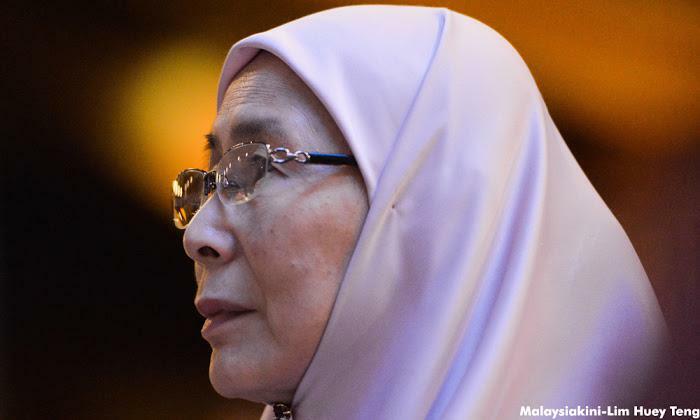 Kajang assemblyperson Dr Wan Azizah Wan Ismail has rubbished the Malay NGO leader Jamal Md Yunos’ call for a protest in her constituency as merely a diversionary tactic. Not only that it would not solve anything, it also does not address the issues affecting the country, she told a press conference in Petaling Jaya today. “It doesn’t solve any problems for them to rally there. I think it is a diversionary tactic from the real problems. “Talk about haze, about 1MDB, about our economy and our plummeting ringgit, the Trans-Pacific Partnership Agreement, and about why our prime minister is getting negative publicity (instead),” she said. To a question whether Jamal should hold his rally at Prime Minister Najib Abdul Razak’s constituency in Pekan instead, Azizah curtly replied, “It’s hazy”. KUALA LUMPUR, Sept 30 — While Kajang residents are divided in their views on their assemblyman Datuk Seri Dr Wan Azizah Wan Ismail’s performance to date, many polled believe a mass rally to protest her alleged incompetence as proposed by #Merah169 leader Datuk Jamal Md Yunos, is unnecessary. Malay Mail Online took to the streets yesterday to find out if local voter sentiment towards the PKR president who stood in for her husband Datuk Seri Anwar Ibrahim in the Kajang by-election two years ago had changed in the past few months since she took on additional duties as Permatang Pauh MP and opposition leader in the Dewan Rakyat. A saleswoman at the Plaza Metro Kajang who wished only to be known as Dayah said the semi-urban state seat’s two biggest issues, flash floods and traffic jams, have improved in the last few months since Dr Wan Azizah became its representative. “She brings many changes. She takes care of the drains, cleanliness and also the traffic. I do not think we need a rally here, it disrupts the peace for the people and would not do anything good for us,” Dayah said. The opinion was shared to a lesser degree by Parames who runs a food stall at Pasar Kajang. The hawker said she was quite happy with the way Dr Wan Azizah managed the frequent flash flooding problems, by seeing to better drainage in the area. Though she was sparing with her praise on her assemblyman, Parames did not believe any mass protest in Kajang would alleviate the constituency’s woes further. Details of the “large-scale” gathering, including the expected turnout, would be announced at a press conference on Oct 11, he added. He told the newspaper the rally would consist of disgruntled Kajang residents who accused the Parti Keadilan Rakyat president of failing to deliver on her promises to the constituents. “I have on three occasions met Kajang folk, comprising Malays, Chinese and Indians, who claimed they had previously supported Wan Azizah, but have since felt they were cheated, and were disappointed with her,” the Sungai Besar division chief was quoted as saying. 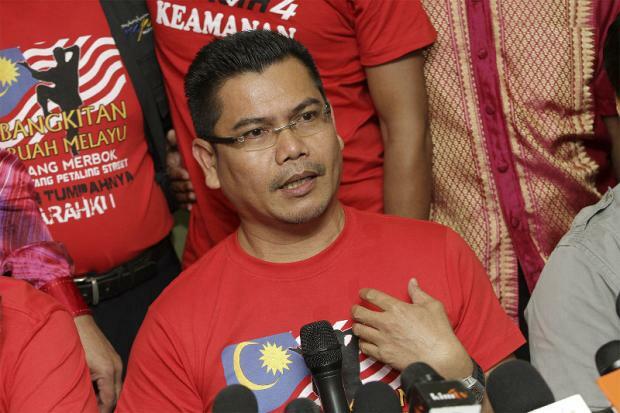 JAMAL YUNOS PLANS A RED SHIRT RALLY AGAINST WAN AZIZAH IN KAJANG! 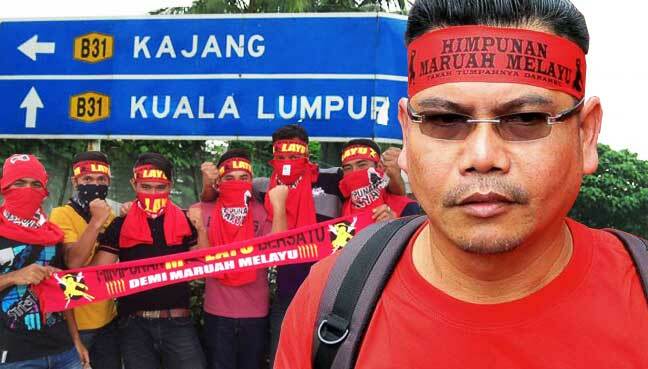 KUALA LUMPUR, Sept 28 — #Merah169 leader Datuk Jamal Md Yunos, who was arrested over a riot warning here last week, has announced plans for yet another mass rally, this time in Kajang. The New Straits Times reported Sungai Besar Umno division chief as saying the rally is to protest against Kajang assemblyman Datuk Seri Dr Wan Azizah Wan Ismail over alleged incompetency in resolving the constituents’ woes. Red Shirts leader says he wants to protest the ineffectiveness of Wan Azizah as assemblyperson in dealing with issues affecting Kajang folk. KUALA LUMPUR: Opposition leader Wan Azizah has been made the new target of Red Shirts leader Jamal Yunos, who is bent on holding a mass rally in Kajang, where she is the assemblyperson. 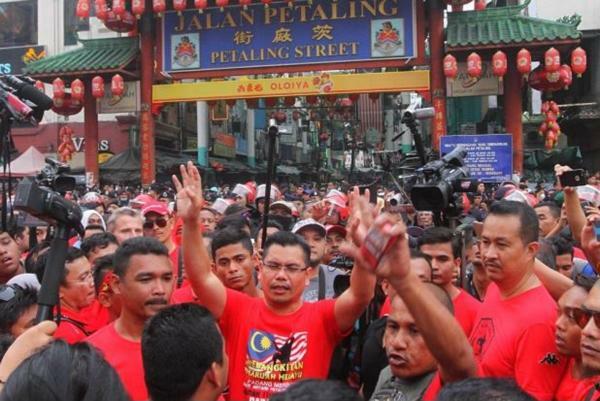 According to a report in the New Straits Times, the Sungai Besar Umno division chief, freed Saturday after overnight detention for allegedly inciting a possible riot at Petaling Street, said the Kajang rally was to protest against the alleged incompetency of Wan Azizah in addressing and resolving the issues affecting her constituents. He said that he had met on three occasions with Malays, Chinese and Indians living in Kajang, who after having supported Wan Azizah, felt cheated now because she had done nothing to alleviate their troubles. “Most of the residents claimed she has yet to resolve their flash flood woes, which cost traders hundreds of thousands of ringgit in losses,” he said, adding that there was also the issue of haphazard waste collection and traffic congestion. He said he would announce further details of his next rally at a press conference on October 11. This entry was posted in jamal yunos, red shirts in kajang against wan azizah?, red shirts red shirts rally and tagged jamal yunos red shirts, kajang, red shirts rally, wan azizah. Bookmark the permalink.